I’m now a Brand Ambassador for Pebble Box Jewelry! This carefully curated, handmade collection is launching soon, and I’m excited to be on board. Multiple companies have approached me over the years about becoming a BA, and I’m glad I waited for the right fit! Pebble Box is a jewelry subscription box that delivers themed, trendy pieces to your door once a month for a price that won't break the bank. Let our stylists surprise you with jewelry you can mix and match, and lets you spend more time on the things important to you. I am the Team Lead for the charity National Multiple Sclerosis Society! Use the code CARMINA20 for your PebbleBox purchases and 10% of your donation will go to MS research. Pebble Box is devoted to more than just an affordable surprise in your mailbox. Part of our reason to launch was to give back and help make the world a better place for all. 10% of every purchase goes to the charity of your choice! Currently, we support 4 charities. Follow me on Instagram to see fun, fashionable pics of the items! Each box includes a themed set of 3 to 4 jewelry items or accessories. Change up your style and expand your fashion inspiration - effortlessly. Watch this space for images of the beautiful pieces and purchase deals using my code Carmina20. 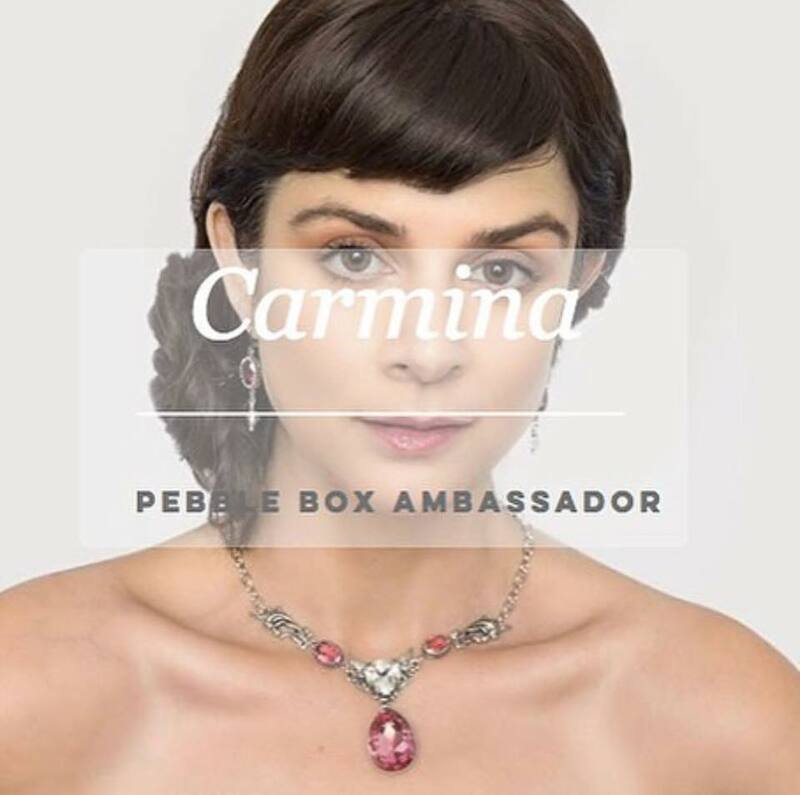 click here to buy your first PebbleBox with the code Carmina20! Newer PostNew model rep in the States with WMG!